Upper Camp consists of two divisions, Juniors (5th and 6th Grade) and Seniors (7th and 8th Grade). Our Upper campers at Everwood spend most of their time on our upper campus property (just a 3-minute walk from our main campus assembly area) allowing our older campers to experience a dynamic camp program that is focused on their needs along with space that is geared toward their interests. 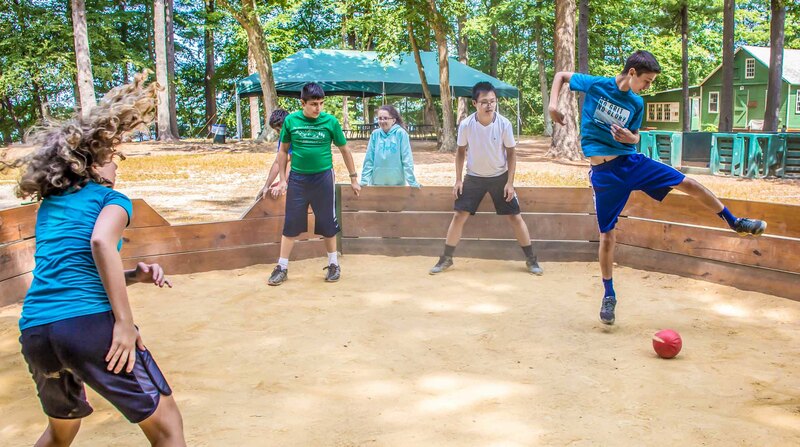 While we do have intentional time where our upper campers connect with younger campers at camp, this older age group appreciates having their own space and not feeling like they are doing activities with much younger campers on a daily basis. 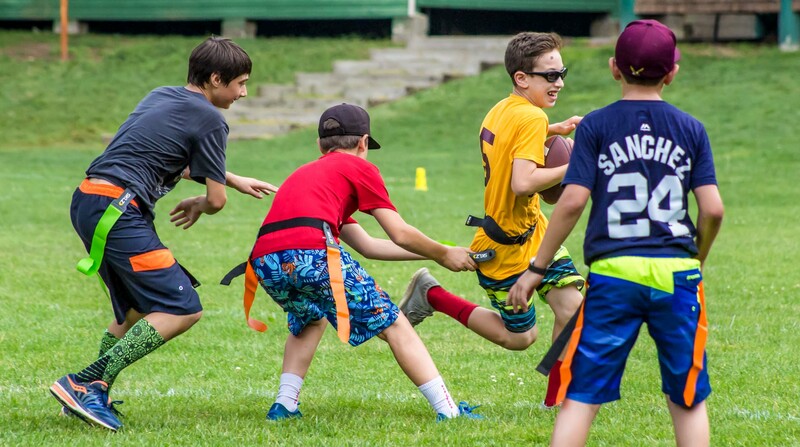 Our upper campers also spend a lot of their day in elective periods (3 for Juniors and 4 for Seniors), allowing them to focus on the activities they love to do and spend time with like-minded peers. Our Upper Camp program is a great balance between electives and opportunities to connect with other group members and build a sense of community among a group and division. In this way, our upper campus feels a lot like an overnight camp program, but everyone goes home at the end of the day! Our upper camp groups typically consist of approximately 17 campers with 2 counselors that are dedicated to the group all summer long. Groups are gender specific and based on the grade children are entering in September. Counselors that work with this age group all have a specific interest in working with this age group, are phenomenal role models and build connections quickly with their campers. Counselors are highly trained and closely supported by certified and experienced teachers.